Center section isolates and magnifies one line at a time. Magnified portion ruled one side in 1/16", the other in 1/10". Scales correlate with horizontal and vertical printout columns. Note: A minimum quantity of 132 must be ordered, and in units of 6 thereafter. 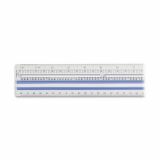 Westcott Magnifying Computer Printout Rulers - Magnifying ruler is designed for use with computer printouts. Center section isolates and magnifies one line at a time. 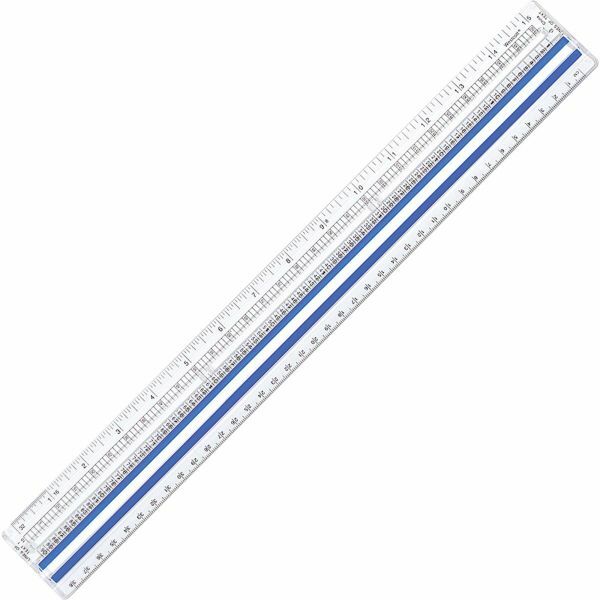 Ruler is ruled in 1/16", 1/10", 1/6" and millimeter increments. Scales correlate with horizontal and vertical printout columns.